I intended to improve my negotiation skills in an ideal environment, so I applied and got accepted to the Oxford royal academy but due to financial issues I finally moved to London, UK, for roughly a month to attend a full-time English course in Education First (EF), the world’s largest private education company, which, by the way, is Swedish. 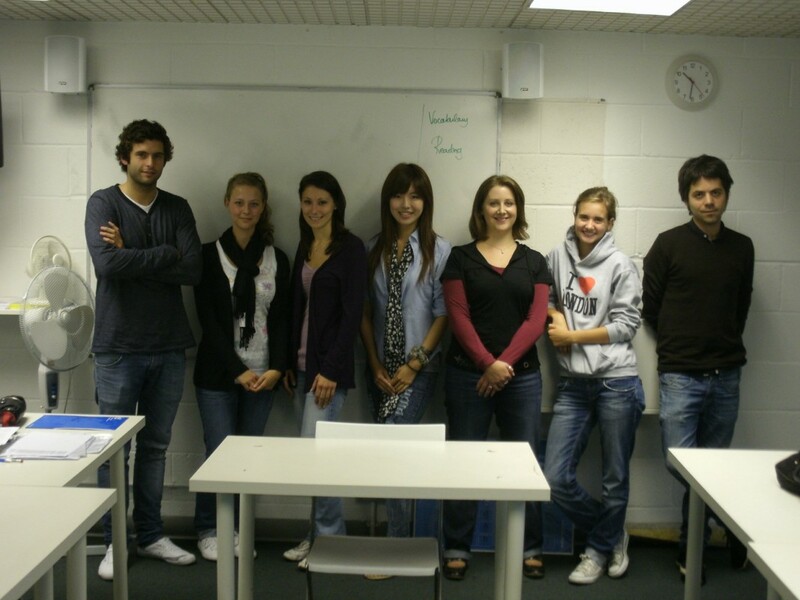 During 3 weeks I attended a total of 78 lessons, combining general English with spins of business English given by a professional with an extensive background in Marketing and Advertising. An interesting part of the course were the project lectures where culture about other parts of the UK and Ireland were approached. In overall, the course´s quality was not as good as I expected, finding an alternative way of learning along the city, among British citizens. The total price of the course for the 3 weeks including accommodation was about 2000 Euros, devoting the remaining 1000 to afford the flights and the usual living expenses. Unfortunately due to an obvious organizational disorder of EF I had to move each week to a different residence which in advance was inconvenient but which led to meet people from many nationalities. The school’s location was absolutely great. 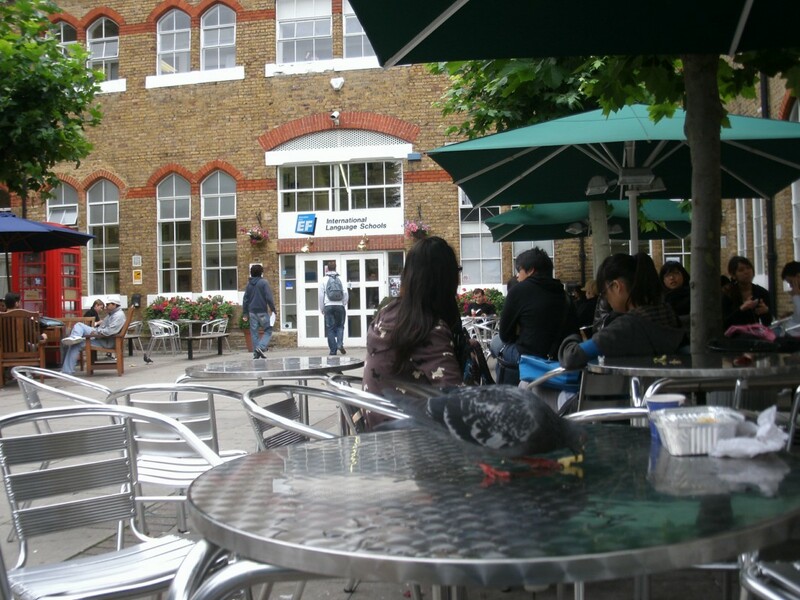 It was located in the very center, a 5-minutes walk to the nearest tube station, Waterloo. I had never been in London before so I seized the opportunity to visit the city and to learn more about British culture. I visited the Tate Modern art gallery, the British Museum and the National portrait gallery, the Parliament, the London tower, the London eye, the St. Paul’s church, and the most interesting sights seeing placed around the city. The school offered discounts for some of the excursions which made it rather comfortable to book. Although with time limitations I also tried to look for a job, approaching some agencies and making different contacts. In this respect, EF school provided me with some suggestions and helped me out to touch up my CV for the specific demands of the English market. The experience overall was great, It is remarkable my English skills improvement, the diverse contacts I made, and the pleasure taken from the wide cultural offer and beauty of the largest city in Europe. This entry was posted in curiosities, places. 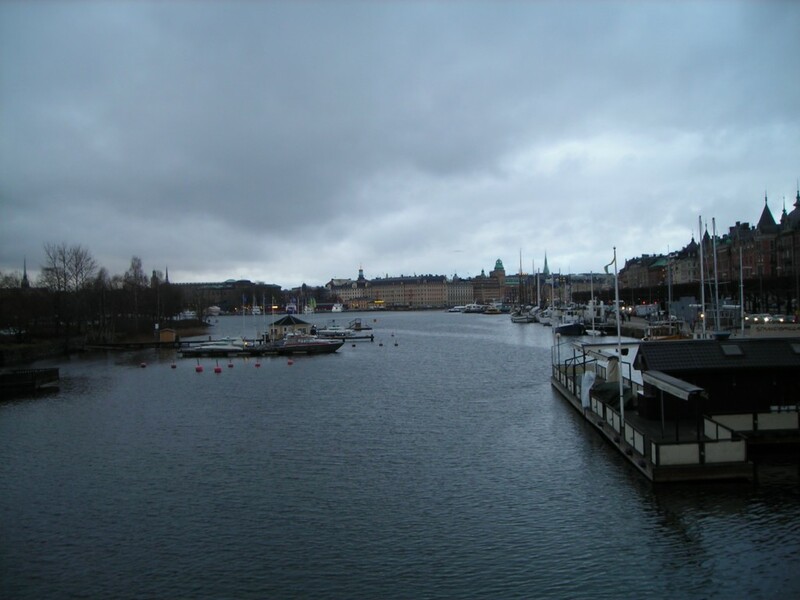 Around the end of October, I took the ferry to Stockholm with couple of friends for second time (I already was there in December 2007, when I lived in Finland). We were lucky since we had a great sunny weekend. I uploaded photos from both trips, so you can appreciate the contrast with the dark winter. At this time, I got a better overview of the city since I did not go to any museum (I already visited the most important ones on the first trip). The city is not as big as the great metropolis like London or Paris but for those of us who do not like huge masses of people is perfect; I would also say exclusive. It is surrounded by water, many bridges and archipelagos that make it really nice. Some people say that is one of the most beautiful archipielagos around the world. The subway works really good. It does not travel always underground; sometimes it travels through bridges over the water so you can appreciate nice sights of the city. It is clean, fast and pretty silent (people included). Some stations are decorated by different artists and they are pretty impressive (I uploaded some photos). Although the subway is rather expensive you can buy a 72 hours ticket by 200 kr /20 euros and it works for buses, trains and boats which connect the different islands. By the way, for those who plan to party, it also works at night on the weekends, it is much slower though. If you are planning to stay, you can find good prices for hostels by 20 euros per night (if you reach couple of weeks before, of course). You can find it in Hostel bookers or Hostelworld, I enclose the website addresses at the blog roll. “Stockholm (help·info) (Swedish pronunciation: [ˈstɔkːɔlm]) is the capital and largest city of Sweden. It is the site of the national Swedish government, the Riksdag (parliament), and the official residence of the Swedish monarch as well as the prime minister. The Monarch resides at Drottningholm Palace outside of Stockholm since 1980 and uses the Royal Palace of Stockholm as his workplace and official residence. As of 2008 the Stockholm metropolitan area is home to approximately 21% of Sweden’s population and contributes to 28% of Sweden’s gross domestic product. Stockholm is the most populous city in Sweden with a population of 825,057 in the municipality (2009), 1.25 million in the urban area (2005), and 2 million in the metropolitan area (2009). Can act as a role model to inspire other cities and promote best practices to all other European cities. ‘The Venice of The North’ is a term often used about the Swedish capital Stockholm, beautifully situated on the Baltic coast. Ten per cent of the city area is water, and the many lakes and water sheds are highly valued for recreational purposes. In fact, 95% of the population live only 300 m away from green areas, thus augmenting recreation, swimming, boating, better well being, water purification, noise reduction, enhancement of biodiversity and ecology. That is why, in 2006, the City Council adopted a water protection plan setting standards for cleaner water and outlining methods by which this could be achieved. The ultimate goal is that all water in and around Stockholm should meet the requirements stipulated by the EU water directive by 2015. This should be done in a manner which preserves the recreational value of the lakes, water sheds etc. Stockholm has just under 800.000 citizens but is growing rapidly. The city council’s holistic vision combines growth with sustainable development and includes the ambitious target of becoming independent of fossil fuels by 2050. The amount of green house gas which each inhabitant of Stockholm releases is 50% lower than the national average, and emissions per person have, since 1990, been reduced by 25%. Transport emissions are relatively low, and all public transport (all trains, and all inner city buses) run on renewable fuels, although the buses are not strictly classified as ‘low emission’ vehicles. Through its well-conceived communications strategy, Stockholm has shown its commitment and eagerness to share their experience and act as inspiration for other cities. I also would like to mention about and interesting project which is also involved in all that environmental issue. In the south of Stockholm in Hammarby Sjostad there is an urbanization named Symbio city. It is not exactly the name since Symbio city is a sort of commercial brand but this one in Hammarby is the first one built. It was built over an old port zone and it can be considered as the first example of self-sustainable urbanization. For instance, the rain water is used for the toilettes and the garbage is burnt to give heating to the houses. More information at Symbiocity.com, find it on the blogroll. This entry was posted in places and tagged stockholm. 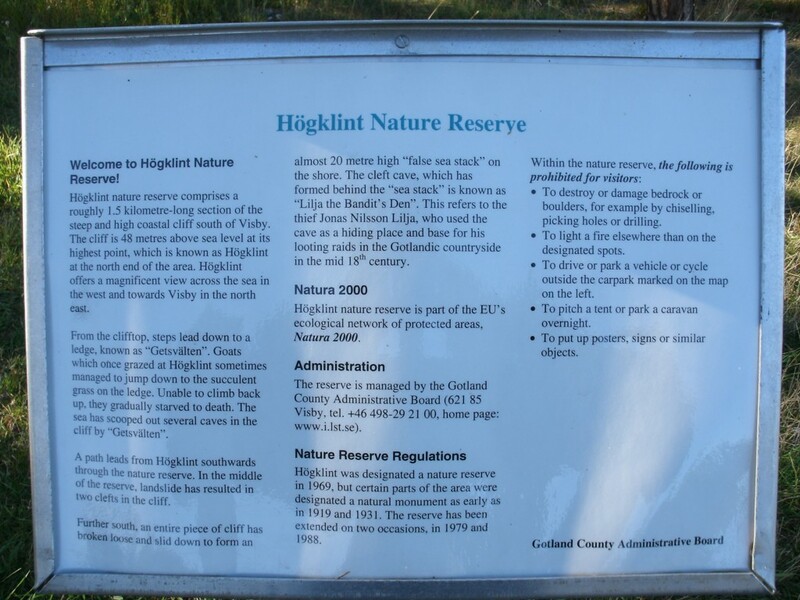 Welcome to Högklint Nature Reserve! Yesterday I visited this Nature Reserve that is roughly 8 km far away from Visby centrum. You can easily get there by bike in 20 minutes and is a perfect place for preparing a barbeque while you appreciate the sunset. Is such a calm place where you get quickly relaxed. Below you can find more information about the place. It is interesting the story about the thief Jonass Nilsson Lilja. For those who are lazy to read I marked it in bold type. This reserve comprises a roughly 1.5 kilometre-long section of the steep and high oastal cliff south of Visby. The cliff is 48 metres above sea level at its highest point, which is known as Högklint at the north end of the area. Högklint offers a magnificent view across the sea in the west and towards Visby in the north east. From the clifftop, steps lead down to a ledge, known as “Getsvälten”. Goats which once grazed at Högklint sometimes managed to jump down to the succulent grass on the ledge. Unable to climb back up, they gradually starved to death. The sea has scooped out several caves in the cliff by “Getsvälten”. A path leads from Högklint southwards through the nature reserve. In the middle of the reserve, landslide has resulted in two clefts in the cliff. Further south, an entire piece of cliff has broken loose and slid down to form an almost 20 metre high “false sea stack” on the shore. The cleft cave, which has formed behind the “sea stack” is known as “Lilja the Bandit’s Den”. This refers to the thief Jonas Nilsson Lilja, who used the cave as a hiding plae and base for his looting raids in the Gotlandic countryside in the mid 18th century. Högklint nature reserve is part of the EU’s ecological network of protected areas, Natura 2000. Högklint was designated a nature reserve in 1969, but certain parts of the area were designated a natural monument as early as in 1919 and 1931. The reserve has been extended on two occasions, in 1979 and 1988. It is almost October but look how sunny is still. The Weather in Gotland it changes fast but we still have sunny days often. Although we can not generalize the climate to the inland. For instance Stockholm is quite rainy. This entry was posted in places and tagged högklint.